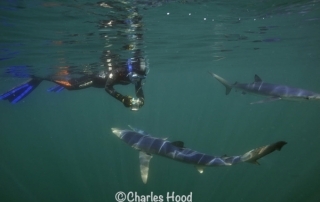 Blue Sharks Freediving Trip: The Ultimate Underwater Adventure in the UK! 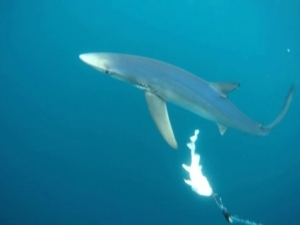 Ready for the thrill of freediving with blue sharks in their natural habitat? We are delighted to be offering a Blue Sharks Freediving Trip – a weekend of freediving, snorkeling and swimming in the fantastic location of Penzance, Cornwall. 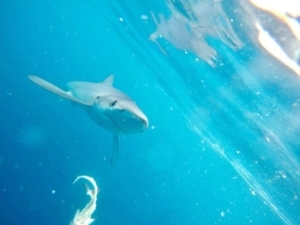 The boat we have chartered has a sighting success rate over over 95%! 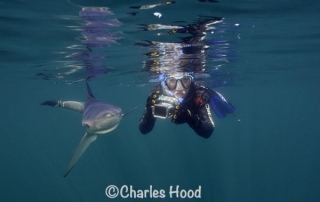 But it’s not just the blue sharks – there is a fantastic range of marine life in the area, so you’ll have a good chance of seeing dolphin, sunfish , whale, porpoise and much more. A qualified Go Freediving instructor will be present at all times and anyone with a RAID Freediver qualification (or equivalent) is welcome. 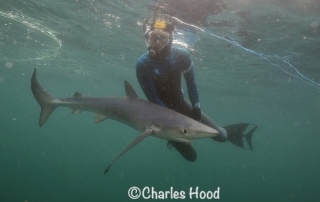 If the boat is not able to launch, the Blue Sharks Freediving Trip will still go ahead, with freediving, swimming and snorkeling taking place around the Cornish coast on both days. However, Go Freediving will refund £237.50 to club members and £261.50 to non members. Please read the cancellation document for more details before you book on. A Go Freediving instructor will be present at all times and anyone with a RAID Freediver qualification (or equivalent) is welcome. 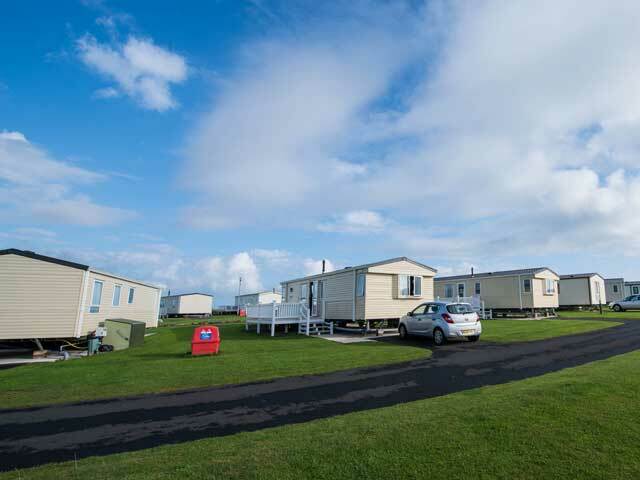 3 nights accommodation (14th, 15th and 16th September) is included in the cost and is based on four people sharing accommodation close to the coast. 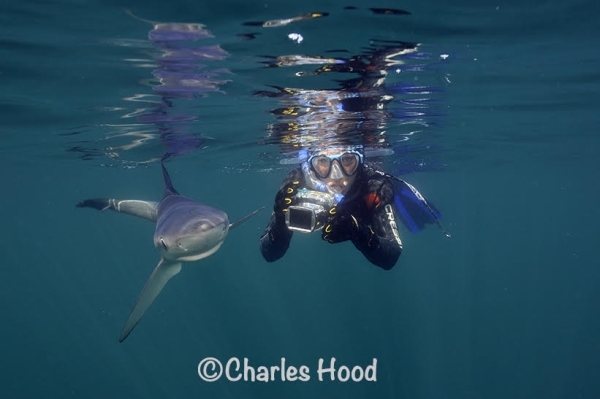 The weekend involves one day on the boat where, depending on sightings, you may dive for one longer dive or two shorter dives. The second day will involve freediving, snorkeling and exploring the magnificent Cornish coast. 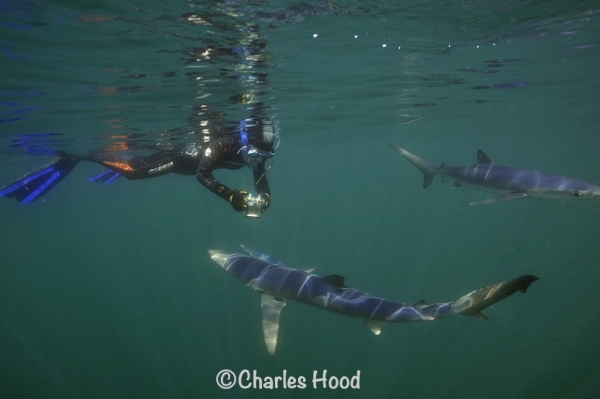 If entering the water it is mandatory that you are totally dressed in dark colours, including hood, gloves and booties and you do so entirely at your own risk.Blue sharks are very shy creatures but they are still wild animals. 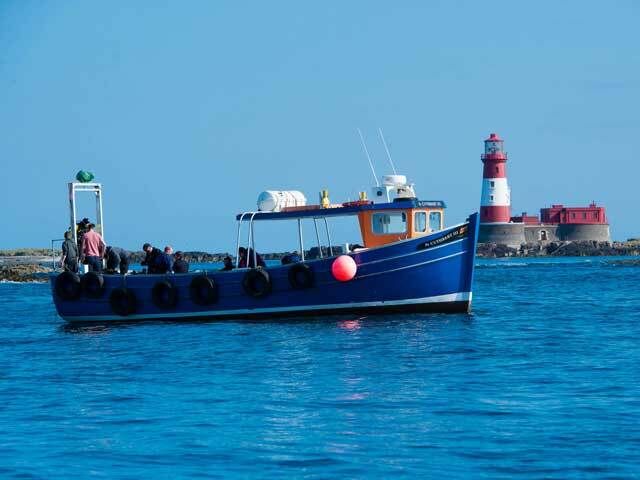 The charter boat insurance only covers you when you are in the boat so if you require in-water cover you will need to arrange this privately. You will be asked to sign a waiver before departure.